McKenzie Contracting provides services to Southern Maryland and surrounding areas, including the following counties: Calvert, Charles, St. Mary’s, Anne Arundel, Prince Georges, and Washington DC. If the extent of the job is significant, services can be provided to both Northern VA and Maryland’s Eastern Shore. Sediment and Erosion Control - silt fence, super silt fence, earth dikes, stone construction entrances, gabion baskets, stone outlet structures, etc. Stormwater Pond Installation and Management - installation of bio-retention ponds, submerged gravel wetlands, management of existing stormwater ponds, brush clearing, erosion repair, stone reventment, swale construction, etc. Native Plant Installation - remove unwanted plants and weeds to install native species that are low maintenance and thrive in the local environment. Stabilization - install grass seed or mulch to stabilize the ground to prevent erosion. Living Shorelines - remediate your shoreline with native plants and vegetation that help prevent erosion and thrive in the native environment. This option may be eligible for government assistance in funding the project. Tree Removal and Trimming - safely falling trees, hauling away all debris, cutting into firewood, grinding all stumps. Fully licensed and insured. Landscaping - mulching, planting, pruning, trimming, flower bed installation, aerating, under brushing, leaf removal, clearing, sod installation, seeding, stabilization, weeding, underground drains, all outdoor landscaping needs. 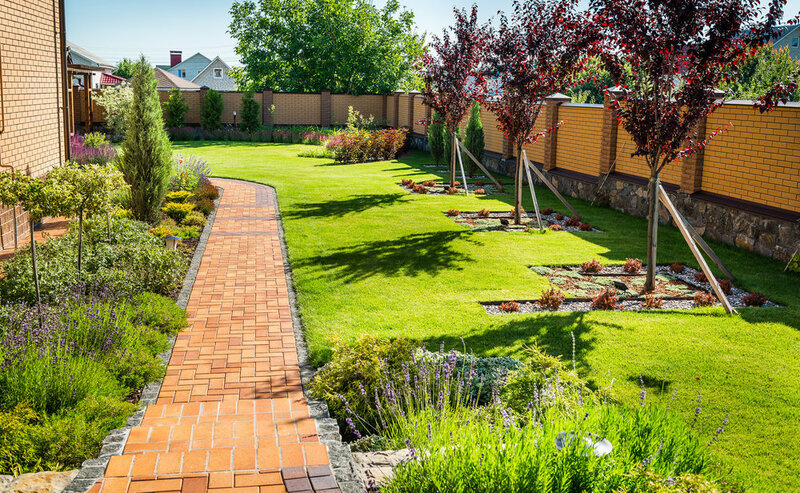 Hardscaping - paver patios, retaining walls, concrete pads and sidewalks, paver replacement and refurbishing, retaining wall repairs. Clearing and Excavation - site development, clearing, under brushing, bush hogging, sediment and erosion control devices, stone construction entrances, rain garden installation, bio-retention pond installation, trench drains, French drains, hauling and disposal of vegetation. Marine Services - pier re-surfacing, living shorelines, tree removal within the critical zone, bulkhead installation, sea wall repairs and install, small dredging operations, clearing along shorelines, etc. Property Management - regularly scheduled maintenance visits to include mowing, trimming, seeding, leaf removal, pressure washing, and all needs to keep your exterior looking like new. Stormwater Management - removing overgrown vegetation from stormwater ponds, picking up trash, removing sediment from pipes and swales, replacing underground stormwater pipe, installing bio-retention soil, all services necessary to keep your stormwater device compliant with local and federal regulations. Concrete Installation and Repairs - repair or replace broken sidewalk or curb. Install new slabs for interior or exterior use. Saw cut existing concrete to find underground problems and then patch when repaired.